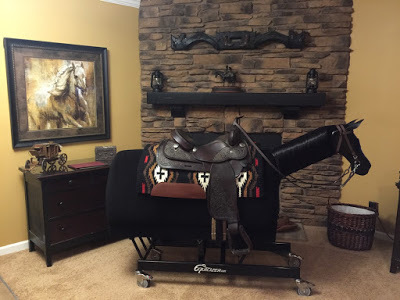 The Equicizer is a safe, beautifully hand-crafted non-motorized mechanical horse that can be used anywhere by almost anyone! 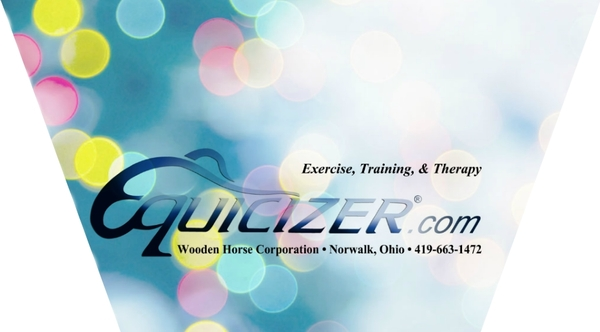 We here at Wooden Horse Corporation are very proud of the Equicizer. It can be used in many ways to improve the strength, stamina, skills, and fitness for the full spectrum of equestrians. Whether your are a serious competitor, casual rider, or simply a horse enthusiast, we know you will get so much out of this wonderful American-made product. We are incredibly proud and excited to feature the newest Equicizer accessory: the Equicizer All Terrain Cart! This sturdy cart is just what you need to safely move your Equicizer out of the barn and into the sunshine! The Equicizer All Terrain Cart is ideal for programs and individuals who find themselves needing or wanting to roll their Equicizer across dirt, sand, stone, and/or grassy areas. The platform creates a sturdy mounting step that travels right with your Equicizer around your barn, yard, or home. The wheels are able to be securely locked wherever you stop to prevent the unit from shifting around. The cart also provides a slight lift to the horse. We are currently offering two assembly options. This is subject to change. "I wanted to tell my story to those who may be contemplating if the Equicizer could be the answer for them. Don't be afraid to place the order. The Equicizer is everything the website says and much more. Mags is changing my life. To be free of back pain is huge. But more so to know that I will soon be back riding my horse, that is priceless." We spend hours of our time and many hard earned dollars finding the perfect fit for our horses when it comes to saddles. Have you ever wondered how to figure out that sweet spot for your saddle on the Equicizer? Take a look at this information graphic for some tips on saddle placement. If you have any questions, you are always welcome to contact us at info@equicizer.com! Have you checked out our blog yet? Wooden Horse Wednesday features all things Equicizer from staff bios to behind the scenes glimpses, from discipline features to celebrity posts, and much more! Tune in with us each time we post by visiting the blog and submitting your email to the list. Each post is a unique look into a piece of the Equicizer world!